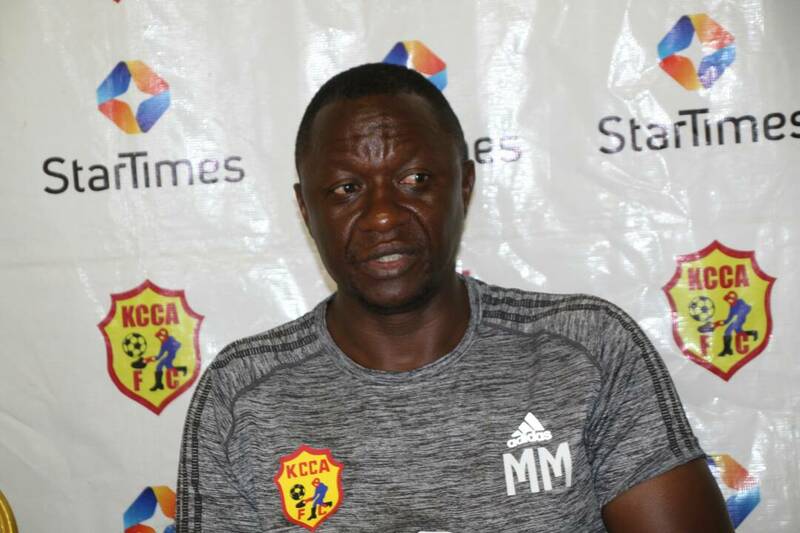 With just hours to the CAF champions league group stage draws, KCCA FC head coach Mike Mutebi has come out and claimed that his team will be ready to face which ever opposition they are put with. This was during the press briefing before the Uganda cup game against Soana on Wednesday evening at Kavumba Recreational Grounds. “How can some one say that their is an opponent we don’t want to get in the group stages of the CAF Champions league, said Mutebi. “We qualified to the group stages to rub shoulders with the top boys and if we are there, then we are in that equation. “Yes some of the teams have more experience than us because they have been there consistently but the bottom line is that we are there too. “Whoever is given to us, we will face them and i am not scared because they may have the history but on the field of play, i have the boys to do the job. “Of course, we will be respectful to some of them because most of them have been there before unlike us but all i can say is that we are ready to face anyone. KCCA FC became the first Ugandan club to make it to the group stages of the CAF Champions league on Saturday as they defeated Ethiopian giants St. George 1-0 at the StarTimes Stadium in Lugogo. The goal was scored by striker Shaban Muhammad at the begining of the second half and ensured KCCA’s passage by a 1-0 aggregate win. The draw for the group stage will be held today at 08:00pm Ugandan time, at the Ritz Carlton in Cairo, Egypt. Wydad Casablanca of Morocco are the defending champions of the competition after defeating Al Ahli of Egypt 2-1 on aggregate last year. Wydad Casablanca, Al Ahli, TP Mazambe, Etoile du Sahel, Mamelodi Sundowns, Zesco United, Esperance da Tunis, ES Setif, MC Alger, Horoya, Mbabane Swallows, Premere de Agusto, Township Rollers, Diffa el Jadidi, As-Togo port.